Imagine being able to see exactly where your visitors come from, where they stay, and how much money they spend. Your marketing dollars don’t slip through your fingers, because your team can watch how effective their campaigns are on an interactive map. Better intel means that you feel more confident, make better decisions and have happier stakeholders. This isn’t an unreachable DMO utopia, it’s happening today in Door County, Wisconsin. 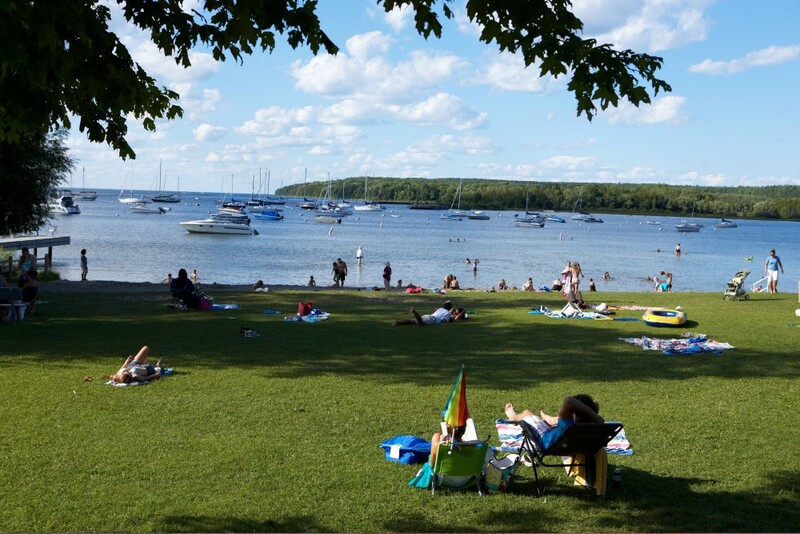 Door County is a picturesque peninsula and resort destination in northeast Wisconsin. Its 28,000 residents welcome approximately 2 million annual visitors who enjoy seaside experiences on Lake Michigan. Anything from sailing to cycling to snorkeling is possible here, and tourism is big business. A gradual increase in tourism has seen revenue increase 25.4% between 2009 and 2015, to a total of $332.8 million. As the regional destination marketing organization (DMO), Door County Visitor Bureau (DCVB) leads tourism success with a much sought-after marketing ingredient: effective and reliable data. The DMO consistently collects booking metrics from many of its accommodations, which gives it a wide-angle view of the impact of its marketing. We asked Jack Moneypenny, President/CEO; and Michelle Rasmusson, Director of Sales & Marketing, to describe how the data is collected and how it helps the DMO make better decisions that affect the customer journey. Destination Think! : How did Door County Visitor Bureau come to receive consistent hotel booking data? Jack Moneypenny, President & CEO, DCVB: Door County has very few branded hotel properties, restaurants and retail stores. We have a local tech company that has created a property management system (PMS) product called Lodgical Solution. Most of the larger lodging properties in Door County use this system, which integrates all software and hardware. It ensures good communication between hotel departments, allows secure payments, and enables an easy and efficient management of the property with its customizable reservations and guest profiles. About 10-15 years ago, DCVB put together a simple ZIP Code project using data collected through Lodgical Solution, with permission from the lodging properties. The project looked at where customers were coming from based on ZIP Code analysis. Jack: I was thinking of that project one day and I thought about all of the other data that a single reservation contains. ZIP Code, date booked, date actualized (visited) and dollars spent. I spoke with the company to determine if we could take another swing at this data in an updated format. Again, with permission from lodging owners, we would touch only the data stored in the servers for those properties that use the PMS system. I asked the software supplier to write a program that would pull the data and then feed it into a mapping program. This enabled us to see a heat map that visually displayed areas where reservations originated, by ZIP Code. The biggest and brightest red areas on the map would show us where we were saturating our key feeder markets, or vice versa. How did the data help you make decisions? Jack: The data enabled us to analyze new markets and show us current concentrations of visitors. This helped us make a good decision to pursue new markets. It helped us understand what areas look like, where we are spending larger dollar volumes on internet, print or TV marketing. We were also able to use the mapping system to determine the income generated from a specific area. If we could see that the concentration of visitors was less but the dollar volume was higher, it would prove that we needed to cultivate that market, because household incomes met or exceeded our target demographic. Lastly, we could see the customer booking and actualization dates, which helped us determine how far ahead of booking the research for vacation destinations occurred. This would help us implement our marketing at a time that was relevant to the booking cycle. Don’t let today’s data leave you behind. Destination Think! helps destinations make smarter decisions to optimize their customer journey, unite their stakeholders, and make their marketing strategies more effective. Contact us to find out how we can support your DMO. Does DCVB place any regulations on hoteliers to keep this system in place? Jack: There are no regulations on this process. The data is automatically created every time that a reservation is made. We have many entrepreneurial business owners (many of them second or third generation) who understand that allowing us to study the non-confidential portions of their reservations will assist us in making better decisions on their behalf. Beyond this important impact on stakeholder leadership, how does the data you collect affect Door County Visitor Bureau’s marketing strategy? Michelle Rasmusson, Director of Sales & Marketing, DCVB: The data has helped us hone in on where we should be placing our marketing dollars because we no longer have to guess or rely on trial and error. For example, prior to utilizing the data, we thought our marketing dollars were being wasted in Minneapolis, one of our specific target markets. We thought we couldn’t place enough advertising dollars there to make an impact, so we reallocated those dollars to other key market areas to get a better reach for our dollar. After we had made that shift, we went back to the data from Minneapolis, and it showed the complete opposite of what we were expecting. After we had cut the media buy in the area down to nothing, we observed a strong organic following from the region. The data helped us decide that we had the potential to reach new visitors in Minneapolis. We quickly shifted marketing dollars back there. Our current data continues to show that this market is growing. Minneapolis now ranks fifth in terms of number of monthly night stays in Door County and it is also fifth when it comes to revenue per month, which is comparable to our top four markets that are much closer to us. We found that the top months for visitation are July, August and September, so we now make sure to focus our paid media efforts on the summer season. We also saw that travellers from Minneapolis stay longer when compared to our other key markets, so we want to make sure we keep them in the mix when deciding where to spend. These DCVB heat maps use the data collected to show growth from 2014 (L) to 2015 (R) in terms of bookings originating in Minneapolis. The city is a five-hour drive from Door County. What is the biggest benefit your DMO receives from the data it collects? Michelle: Timing. By combining this data with other analytics, we now know when people start planning, when they book a room, and how far in advance they book that room before arriving. We now also know when certain target areas travel to Door County throughout the year. This allows us to strategically place branded messaging in those areas during their specific planning cycle. Our media buy is now customized and we are talking to potential visitors when they are most likely to listen. How does the data affect your role when it comes to tourism stakeholders? Michelle: It definitely takes away a lot of the guessing. Because of the data, stakeholders can easily get on board with where we are spending our marketing dollars and understand why. It is also a great value to them because they can see where they should be placing their own marketing dollars to better their own business strategy. Why do the precise metrics make your job more fun? Michelle: Imagine you are playing chess and Bobby Fischer is whispering in your ear giving you advice on your next move. You can hypothesize where you think you should move, and then consult Bobby (a.k.a. the data), so that you have reassurance it’s a good decision. It allows me to look ten steps ahead while being able to watch in nearly real time to see if it actually worked. Do you have any advice for DMOs who seek to collect or use data more effectively for their marketing or management activities? Michelle: Gather as much data as you can because it’s more than likely that you can’t go back and get it if you didn’t think to gather it in the first place. Learn about your visitors’ planning habits, track the content they like to see and then serve them up relevant information when they want to see it. Great article and given the looming problem in many areas of “overtourism” – very timely. Nearly 20 ago I was ridiculed at an ENTER conference for talking about a potential Intelligent Destination management System that would give this kind of information. The technology has existed in various forms for years – improving all the time – but many destinations have been reluctant or unable to deploy. The obstacles are not technical but human-psychological. There has to be a deep-seated willingness to trust and collaborate by suppliers in a destination and much depends on their relationships with each other and their DMO. Recognition of their innate interdependence and Network nature has been slow in coming but, finally, it’s coming. Congrats Door County. I love the way Door County is working with their hoteliers to understand their visitors. That is a critical connection that is missing from most DMOs as their local hotels can provide that missing “last mile” connectivity to identify visitors. Heck, hotels have all of the guest information! There is a lot to learn from your visitors and, if set up correctly and securely, that data can be analyzed to make better marketing decisions. The larger the pie, the bigger the slice. And if set up extremely well, you can also get some great travel stories from these visitors.